For centuries, communities around the world have used public bathing spaces to gather socially. Bathing in hot springs has been used as a place for community gatherings and a place of healing since Roman times, so it’s unsurprising that there are many elaborate traditions and rules of etiquette surrounding these bathing practices. In this article, we take a closer look at the hot spring etiquette of three very different countries. In the Japanese onsen, male and female bathers are separated at the entrance and bathing must be done completely naked as clothing is thought to contaminate the water. Bathers must scrub and wash before entering the bath whilst sitting on a low wooden stool. This stool also needs to be washed after use. It is forbidden to dunk your towel in the pool or let your hair trail in the water. People with tattoos and body piercings are often forbidden from bathing in the onsen, due to tattooing’s association with the Japanese organised group the Yakuza. Every town in Iceland has a naturally heated hot spring or ‘hot pot’ and it’s the place to go if you want to catch up on the latest local gossip and be seen by the local inhabitants. Because Iceland’s pools are not chlorinated, cleanliness before bathing is paramount so the pre-pool wash is the most elaborate part of Icelandic pool etiquette. Although the pools themselves are mixed gender, the pre-bathing facilities are divided up by gender and bathers are required to thoroughly lather and wash themselves in public showers before putting on their swimsuit and getting into the pool. Failing to wash yourself thoroughly will result in being called out by a shower monitor. Thorough towelling off after the pools is also an important part of pool etiquette. 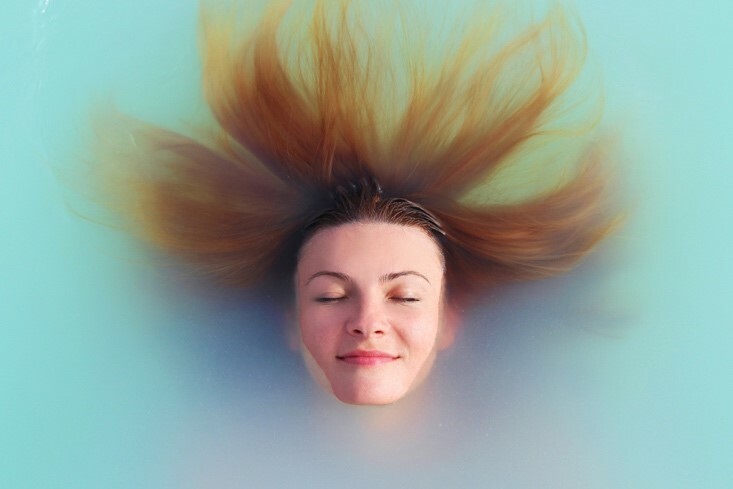 With a relatively young hot springs bathing culture, Australian hot spring locations have a far shorter list of etiquette customs than their overseas equivalents. At places like the Peninsula Hot Springs, bath etiquette is designed to ensure you make the most of your time in the rich mineral waters. Showering before entering the pools is a must, so that you are clean and your skin is primed to receive the beneficial effects of the minerals. Your are also encouraged to spend no more than fifteen minutes at a time in the pools before taking a break, to avoid overwhelming your system. A ‘cool down’ period of 30 minutes where you lie wrapped in your bath sheet on a pool side lounge is also strongly recommended, to stabilise your blood pressure before leaving the springs. Melbourne on the Move runs a regular shuttle bus down to the Peninsula Hot Springs on Friday, Tuesday and Saturday. We also offer a Peninsula Hot Springs tour that includes a breathtaking morning balloon ride over the city of Melbourne and a delectable five star buffet breakfast. Book online today or call 1300 55 86 86.